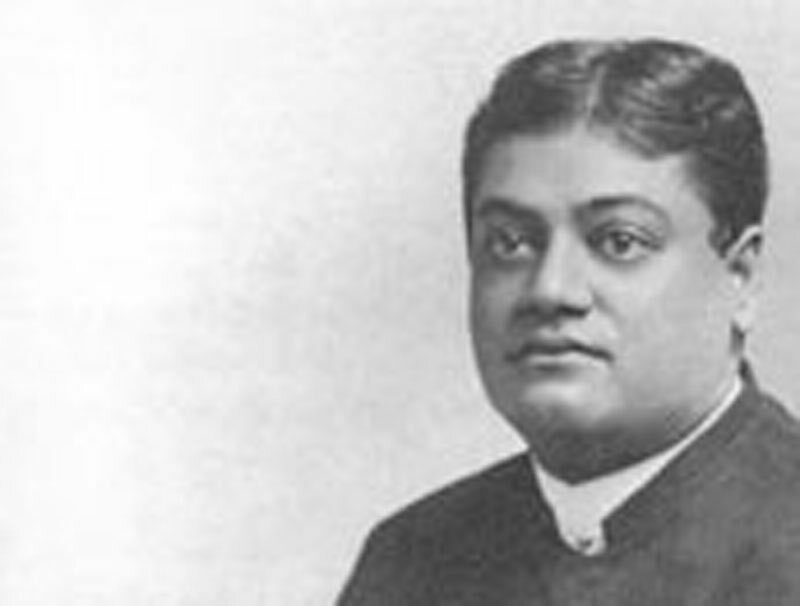 On the sixth floor of one of the dismal but convenient Victoria-street houses, we lately listened to a discourse by Swami Vivekananda — one of a long series on the Hindoo Religion and Philosophy.* . . . For an hour and a half he spoke, without a note. It is true that the discourse was rather a flow of remarks than a connected study, but it was all keenly interesting. The subject, in the main, was the Vedas, but we got excursions upon Evolution, Modern Science, Idealism and Realism, the Supremacy of Spirit, &c. On the whole, we gathered that the speaker was a preacher of the universal religion of spiritual ascendency and spiritual harmony. Certain passages from the Vedas — beautifully translated and read, by the way — were charming in their bearing upon the humanness and sharp reality of a life beyond the veil. One longed for more of this. We were much impressed with the admission that in the Vedas there were many contradictions, and that devout Hindoos never thought of denying them nor reconciling them. Everyone was free to take what he liked. At different stages and on different planes, all were true. Hence the Hindoos never excommunicated and never persecuted. The contradictions in the Vedas are like the contradictions in life — they are very real, but they are all true. This seems impossible, but there is sound sense in it. At all events, as regards excommunication and persecution, we only wish the Christians could make the Hindoo's claim.